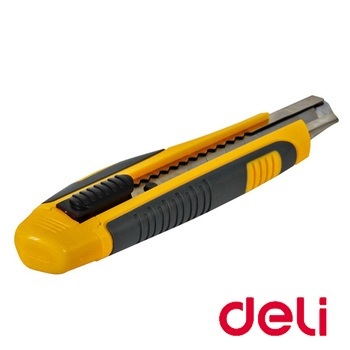 Light duty, small utility knife at a deli.. cious price. General purpose small blade cutter for office, craft or home. 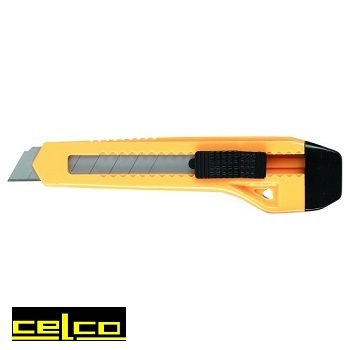 Quality, economically priced, heavy duty, large auto-load snap blade cutter knife. 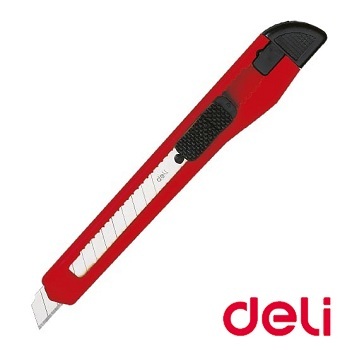 Quality, heavy duty utility knife cutter offering deli.. cious value. Designed for mailroom, factory and warehouse use. Features include snap off blade system, safety lock and rubber grip for comfort. Cutter complete with spare set of blades. 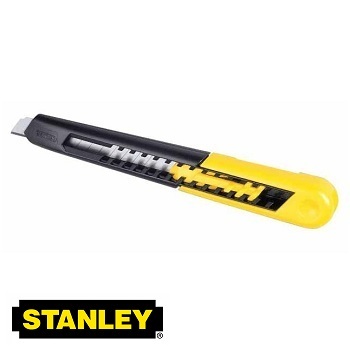 Famous Stanley® brand light-duty, retractable knife with Quick-Point™ snap-off blades. Multi-position push button for quick, easy use. 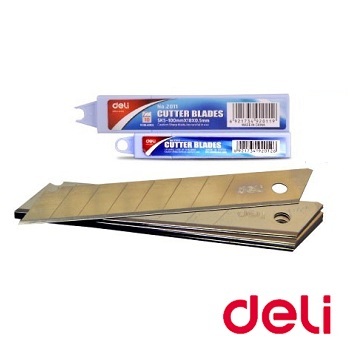 Blade sections snap off providing fresh, sharp cutting points. Impact resistant ABS plastic body. Black/Yellow. Available in 9 mm and 18 mm knife sizes. 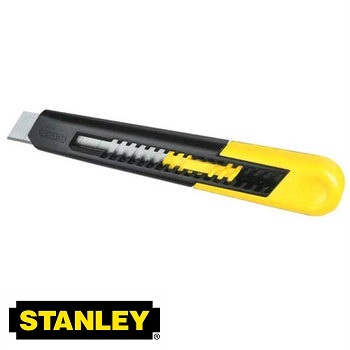 Multi-use famous Stanley® brand utility knife for office and warehouse. Patented Interlocking nose for safety. 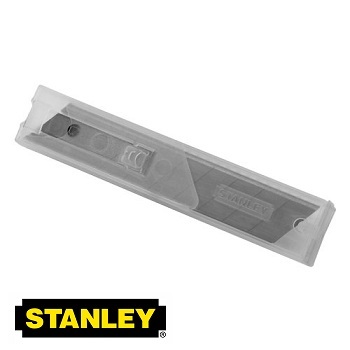 Multi-use famous Stanley® brand classic retractable utility knife for office and warehouse. 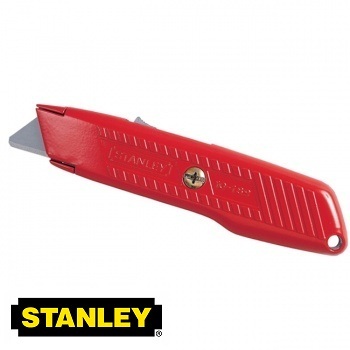 Stanley® brand self-retracting safety utility knife. The blade automatically springs back inside the knife body as soon as pressure on the shifter button is released. Ideal for heavy duty use in office, mailroom and warehouse. Red high visibility body which is ribbed to provide a firm grip. Made from extremely strong carbon steel SK-5 material. 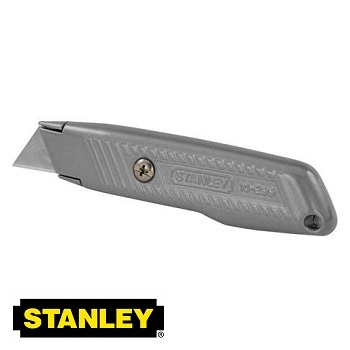 Stanley® brand Quick-Point™ snap-off blades. 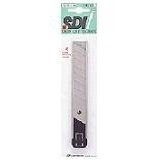 Suitable for Snap Blade Knives 010150 and 010151. Available in 9 mm and 18 mm blade sizes. 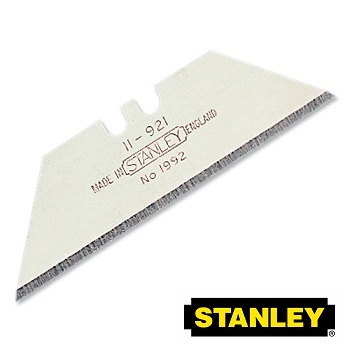 Refill blades engineered for general-purpose cutting. Precision-honed edge for consistent and long cutting life. 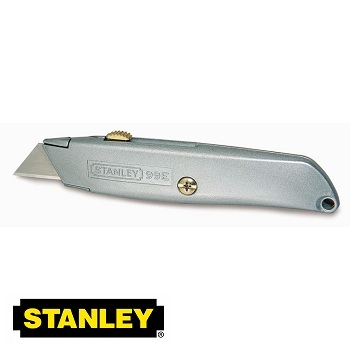 Fits Stanley® 010299 and most standard utility knives. Pack of 5 additional refill blades. Pack of 6 additional refill blades. 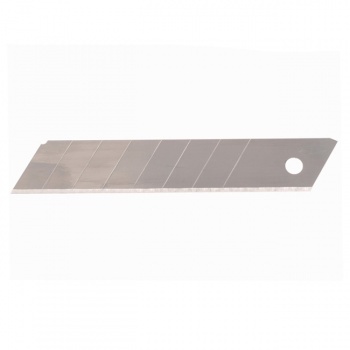 Replacement large auto-load snap lock blades for Celco knives and cutters. 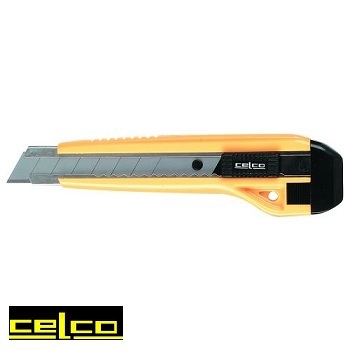 Suitable for Celco knives 5423 and 5430.